“Time is the theme underlying all my work,” states Italian-born, Paris-based artist Tatiana Trouvé. 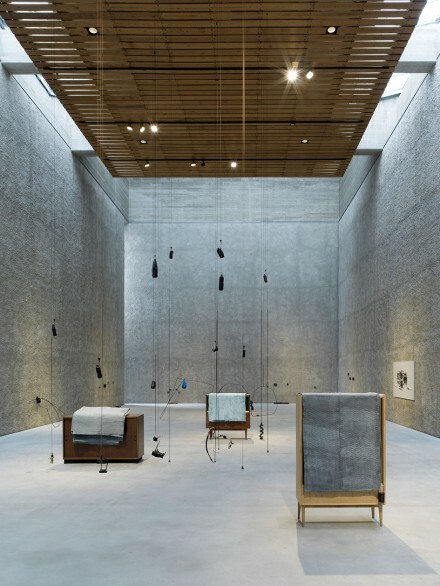 Frequently reflecting ideas of time and intervention through her prolific body of drawings, sculptures and installations, the artist is presenting a new exhibition at Berlin’s König Galerie, where she has enacted a space illustrating the origins and systems dictating the flow and movement of the universe. 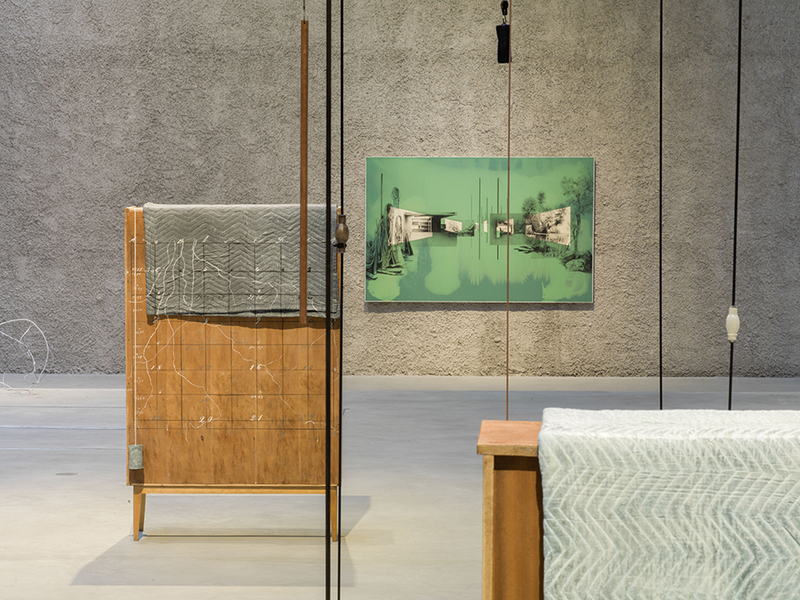 Consisting of furniture covered with bronze blankets, on whose backs reveals drawings and text, traced and written,her objects combine multiple realities incorporating dreamlike states and alchemical properties, always based on nuanced, multifaceted layers of space and time. Each installation reveals a fragmented culture, and a system pushed into instability through her varying representational techniques. Wires and suspended cable make up much of Trouvé’s installation practice, allowing her to construct spaces full of movement while still dividing space into various regions and sub-systems. The metal rods infer a sense of travel throughout the space, and are linked to mechanical and industrial elements in their need to balance improbable formations. 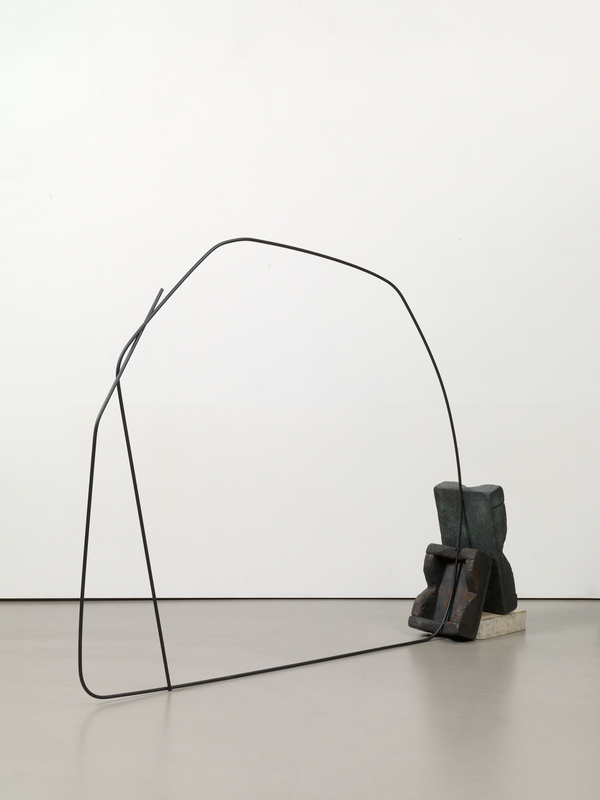 Trouvé often uses weights and counterweights (typically pulleys) in her metal works, allowing her a certain flexibility in the surreal arrangements of weight and space, always held in a precarious balance. 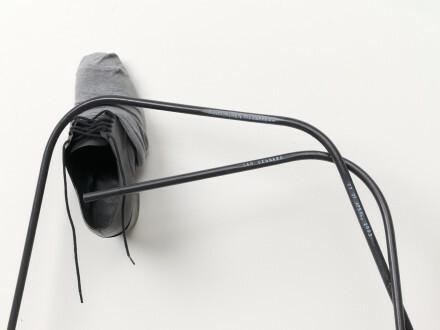 Through Trouvé’s defiant sense of gravity, she creates alternate worlds, rendering nontraditional expressions and techniques in floating space, and transforms her locales to fully encompass her many notions of balance, spatial sensitivity and fluid perception, allowing both her sculptures and her visitors’ views of them to change freely within her initial system of objects. In addition to showing her own creations, Trouvé has also invited artist Christoph von Weyhe to exhibit his paintings alongside her sculptural objects and installations. For the last 35 years, Weyhe has frequently returned to the harbor of Hamburg, to capture the musty seascapes of his childhood home. Weyhe first paints the scene with gouache, and then turns his gouaches into lengthy projects where he continues to rework the piece until the original landscape reflects less immediate sensations and experiences of his encounter with the atmosphere of Hamburg. 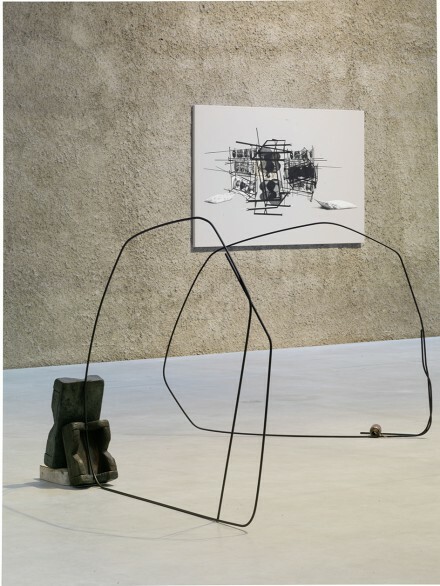 Drawing on manifold situations and formal elements, Tatiana Trouvé’s exhibition, From Alexandrinenstrasse to the Unnamed Path, at König Galerie is up until March 28th, 2016. This entry was posted on Monday, February 22nd, 2016 at 12:00 am	and is filed under Art News, Galleries, Go See, Show. You can follow any responses to this entry through the RSS 2.0 feed. You can leave a response, or trackback from your own site.